Bike 4 Cancer was set up by a group of keen cyclists who have all lost a family member or close friend to cancer. As a specialist cancer respite charity with a sporting focus, we provide relief from the difficulties of living with cancer. We do this by providing respite days and short-breaks for British families affected by cancer - some of which are cycling related. We also make grants to UK based care institutions and support research into the positive effects of exercise (e.g. cycling) and how it can help both prevent cancer and assist in recovery post diagnosis. Join our cycling community and help people living with cancer at the same time! Support Bike 4 Cancer in the 2019 London to Brighton Bike Ride. The ride will take place on Sunday 15 September 2019. Reserve your places now! Ronnie is going to be cycling 50km in the BM Ride on the 14 April 2019 raising funds for Bike 4 Cancer. Dudley will be taking on this epic challenge starting on the 12 August 2019 and will be raising funds for Bike 4 Cancer. Mel will be taking on this epic challenge starting on the 24 July 2019 and will be raising funds for Bike 4 Cancer. Bike 4 Cancer is proud to support the 4 Cancer Group's wider objective of raising funds for a holiday lodge for UK based families living with cancer. Lauren is going to be cycling from London to Brighton on the 16 September 2018 raising funds for Bike 4 Cancer. Order your Bike 4 Cancer cycling jersey today for just £35 which includes postage to any UK address. Toby is cycling the circumference of Sardinia! Toby Simmons will be cycling around the full circumference of Sardinia, solo and unsupported in 6 days, raising money for Bike 4 Cancer. Hilary and Peter McKegney will be cycling through Three Counties in One Day! Hilary and Peter will take part in the Three Counties Coast 2 Coast bike ride raising money for St. Margaret's Hospice and Bike 4 Cancer! Carol Board is cycling through Three Counties in One Day! Carol will take part in the Three Counties Coast 2 Coast bike ride raising money for St. Margaret's Hospice and Bike 4 Cancer! 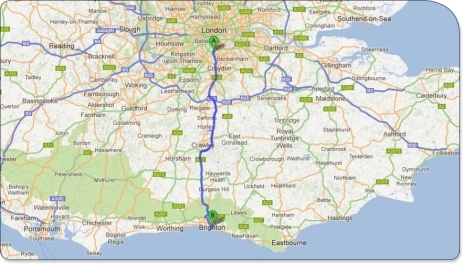 Andrew Long is cycling through Three Counties in One Day! Andrew will take part in the Three Counties Coast 2 Coast bike ride raising money for St. Margaret's Hospice and Bike 4 Cancer!